AccessAbilities Expo 2017 to showcase world’s latest smart assistive technology, robotics. DUBAI: After the resounding success of its inaugural edition, AccessAbilities Expo, the largest dedicated event for disabilities in the Middle East, is back with its second edition from November 7-9, 2017, at the Dubai International Convention and Exhibition Centre (DICEC), with an estimated over 15 per cent growth and a wider range of interactive activities focused on inclusion and empowerment. The Expo is in line with the vision of His Highness Sheikh Mohammed Bin Rashid Al Maktoum, Vice-President and Prime Minister of the UAE and Ruler of Dubai, to build hope, build life, build the future and make people from all walks of life happy and is driven by the goal set by His Highness Sheikh Hamdan Bin Mohammed Bin Rashid Al Maktoum, Crown Prince of Dubai and Chairman of Dubai Executive Council, to make Dubai the world’s best city for persons with disabilities by 2020. Held under the patronage of His Highness Sheikh Ahmed bin Saeed Al Maktoum, President of Dubai Civil Aviation Authority, Chairman of Dubai Airports, Chairman and Chief Executive of Emirates Airline and Group, AccessAbilities Expo will bring world’s latest robotic and assistive technology products from across the world, that can lead individuals with disabilities toward better and independent lives. The Expo will also bring international experts in the field of disability to host interactive sessions about rights and address issues concerning people with disabilities. 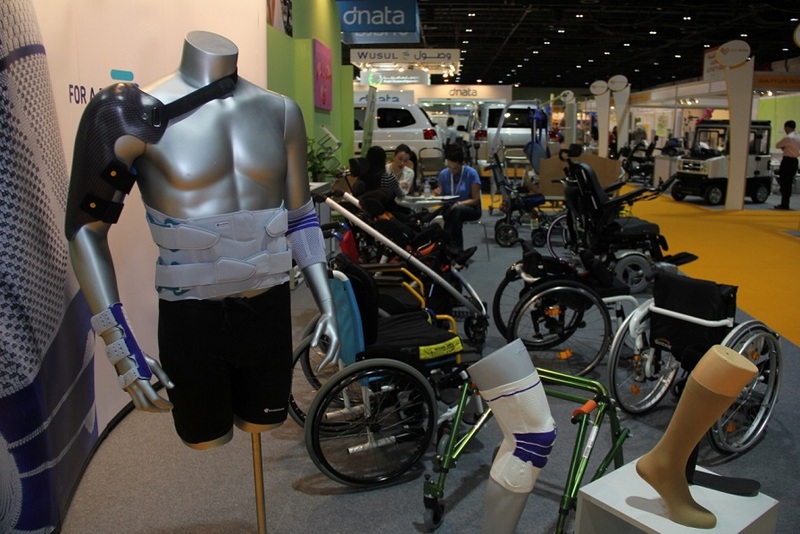 The inaugural expo, held earlier this year, was remarkably successful with more than 6,000 people, including individuals with disabilities, their families, educationists, experts from different sectors such as healthcare, technology and infrastructure, and decision-makers, attending the exhibition and over 150 exhibitors from 41 countries showcasing the latest products and services at the event. “We are very glad to see the tremendous response that AccessAbilities Expo has generated in the first edition itself. The strong support from government bodies, exhibitors and educational centres from all over the world will ensure the success of this Expo, which is another milestone for the UAE and Dubai towards attaining the target of becoming disabled-friendly by 2020,” said Sheikh Ahmed, during the first edition of the Expo. “I am hopeful that AccessAbilities will benefit more than 50 million people with disabilities across the Middle East and by bringing the world’s best technology, solutions, tools, products and services on a single platform, it will provide a wide range of opportunities to enhance the lives of people with disabilities and contribute to the vision of our leaders,” Sheikh Ahmed added. The second edition of AccessAbilities will have strong representation from government bodies as well as the private sector. The event will also provide a range of activities, including a platform for those with disabilities to explore career opportunities. The Expo, aimed at integrating persons with disabilities into the society and enhancing their contribution, comes at a highly relevant time as countries worldwide deal with the challenge of increasing number of people with disabilities. According to the World Health Organisation (WHO), one billion people, or 15 per cent of the world’s population, experience some form of disability, and over one-fifth of the estimated global total, or between 110 million and 190 million people, experience significant disabilities. The number of people with disabilities in the Middle East is estimated to be increasing especially due to unrest, in addition to other factors such as the rise in ageing population and rapid spread of chronic diseases. Persons with disabilities are more likely to experience adverse socioeconomic outcomes than persons without disabilities, making it imperative to empower and integrate them in the society. By bringing in the latest advancements in assistive technology, highlighting the role of education for the disabled, learning trends, medical facilities, services and by organizing common activities for people with disabilities and without disabilities, AccessAbilities Expo aims to contribute to the goal of ‘integrating lives and empowering communities’. The UAE is taking numerous initiatives aimed at empowering individuals with disabilities and integrating them into the society. The ‘My Community-A City for Everyone’ initiative, is Dubai Government’s strategic goal to be the world’s friendliest city for people with disabilities by the year 2020. The UAE also aims to have sign language and braille commonplace by 2020. Government departments across the UAE are also taking tangible steps to ensure ease of access for the disabled to their services. AccessAbilities Expo will also highlight the initiatives bring taken and services provided by government organisations for the disabled. AccessAbilities Expo is organised by Reed Exhibitions and Nadd AlShiba PR & Event Management. The exhibition will be spread over an area of 8,000 square metres and will feature a Knowledge Centre along with dedicated activity areas.